The all new Goblin 770 Sport! The new 770 follows the "Sport" name by maintaining the 770 feel and performance at a more affordable price. 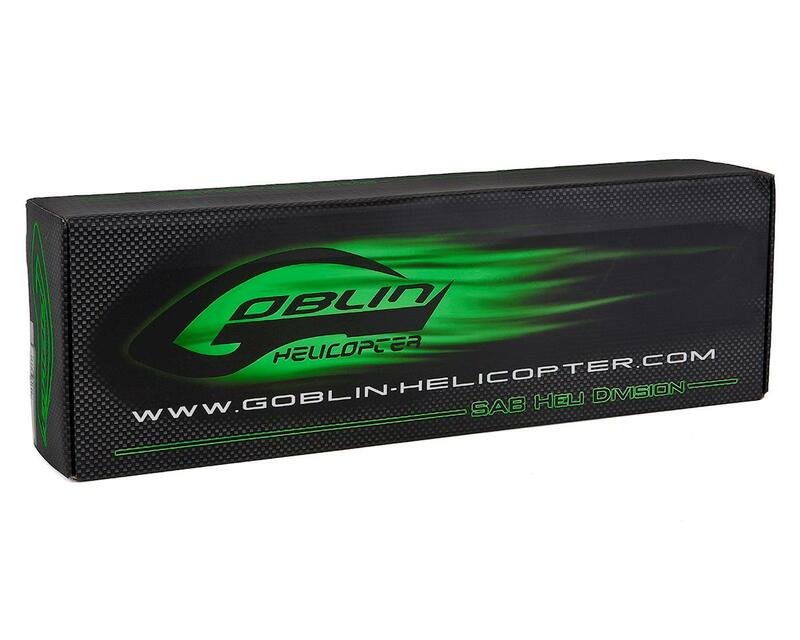 The Goblin 770 Sport features a 3 bladed tail rotor to increase tail authority at low RPMs as well as 750mm TBS blades (max blade size is 766mm with 115mm tail blades). This is the perfect solution for pilots who want to fly 6s, 7s, 12s or 14s. 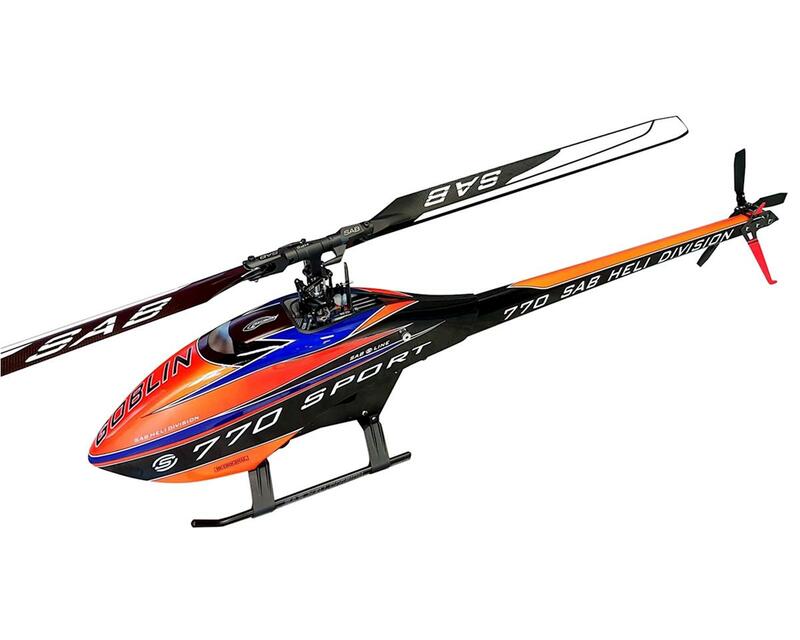 Low and high RPM capable making it a very diverse helicopter! Amazing helicopter. 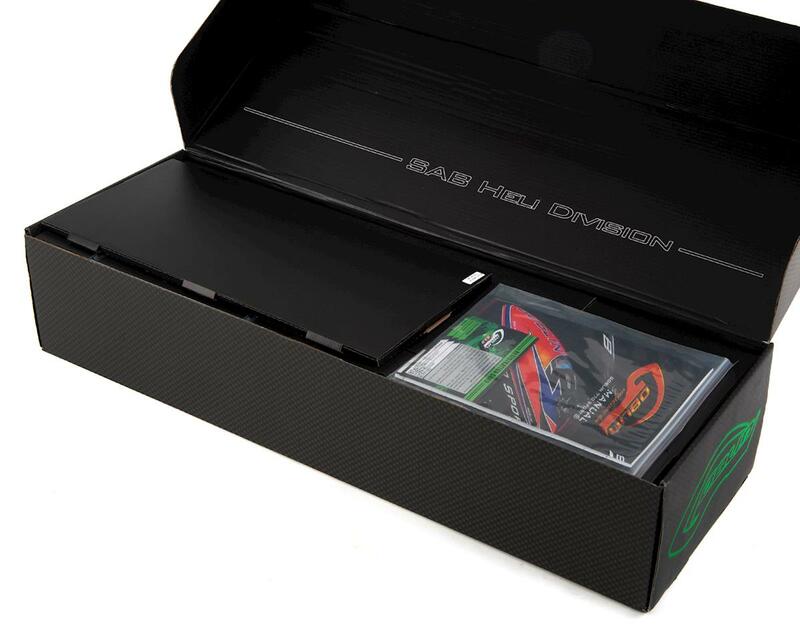 When I opened the box, I was quite impressed with the size of it, the 750mm blades in particular (I also own Goblin 570). The machine is big yet very lightweight, the color scheme just rocks - black and orange canopy is very visible. The quality of the parts was great, especially the dark matte HPS rotor head and tri-bladed tail (a masterpiece on its own). The beast comes with a metal heavy duty all steel main gear, which sounds ok when it breaks in. I had no issues with the build, just make sure you sand the sharp edges of the airframe and especially the battery platform. To provide the constructive feedback, I wish the cyclic servo link rods were right and left threaded for fine tuning. Also, the carbon fiber tail servo rod ends need reinforcement (I glued short pieces of a small aluminum tube on both ends of the rod) to prevent tips from cracking. The helicopter flies great equipped with Xnova 4530 motor and with proper components and setup technically can fly even on a single 6-7S large lipo pack at ultra low headspeed (~1300 rpm, videos can be found on YouTube) due to the low weight of the refined airframe. The tri-bladed tail has a lot of authority at lower headspeeds and very specific sound. I enjoyed building the helicopter and would highly recommend it. Also, many thanks to Amain for their great customer support (as always) and huge inventory selection. Cheers from Virginia.